We just love getting a great review from our past happy couples! 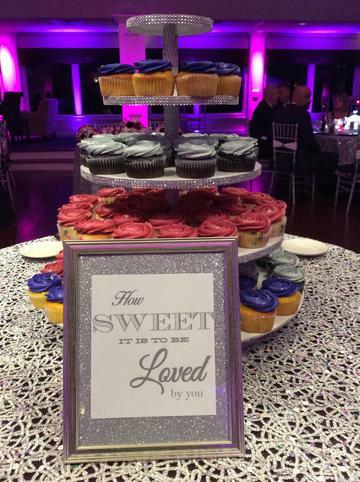 Every wedding is special to us, and we love what we do! When we receive thank you notes, and reviews we are always so grateful for the kind words! Today we will feature a celebration from the fall of 2016! Jenney & Tim were married in a beautiful indoor ceremony on October 21, 2016! Everything about their wedding was picture perfect! 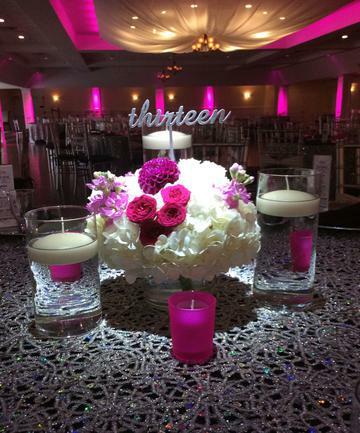 The tables were adorned with glitzy overlays which made the venue sparkle and shine! 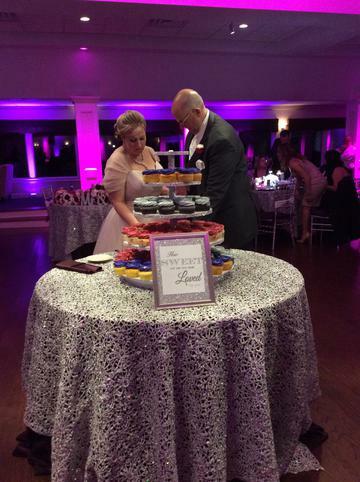 Pink uplighting was the perfect accent to the eggplant and silver decor! 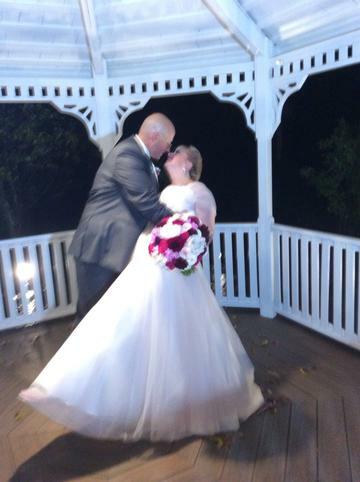 Tim and Jenney were able to sneak out into the courtyard for photos once the rain stopped. 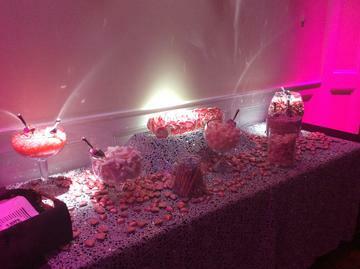 As the night went on, guests enjoyed a delicious mashed potato bar and a perfectly pink candy station!! 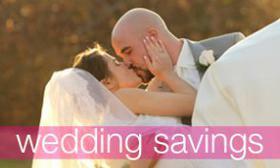 "If you want personal service the day of your wedding, pick the Canoe Club. Stacy, Jillian and the rest of the girls go out of their way to ensure that the bride and the groom have everything they need for their amazing day. From the attention to detail and how they take all of your information, guest lists, etc and make sure everything is set up and laid out appropriately, to ensuring the room looks exactly how you envisioned. They bend over backwards to take care of any needs you may have and do everything they can to give you the wedding of your dreams. We were supposed to have an outdoor ceremony and we had ceremony cards. They laid those cards out and an hour before our ceremony, it down-poured. They quickly scooped up the cards and set up for an in-door ceremony. I had two dress issues, one, the top hook and button ripped and the girls met me in the bathroom after safety pins were no working and sewed me into my dress. Then when a glass of red wine was spilled on my blush pink wedding dress, they again, met me in the bridal bathroom and helped me to blot it out. No one that did not witness it even knew the wine had been spilled afterwards. They flipped the room from ceremony to reception in something like 2 1/2 minutes and those are just some of the examples I can speak of to sign their praises. I could not have picked a better venue and group of people to work with through the whole process. I would highly recommend the Canoe Club. 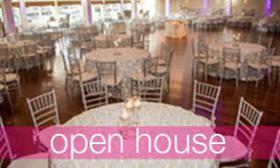 Plus, having their preferred vendor list really made the search for a DJ, florist, limo service, etc. 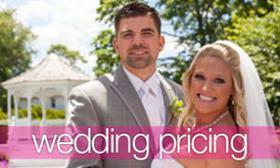 so much easier and I found incredible individuals and vendors to work with."